Home / Roses are Red, and Floors Can Be Too! The colour red can signify many things, from anger to passion and love to danger. Red is also said to attract the most attention and is associated with strong emotions such as anger, courage and power. It is no wonder that red is a popular colour choice for flooring, but it is incredibly interesting to see how and where this colour is used. More often than not, the colour red is used to signify areas that require additional attention in industrial environments. 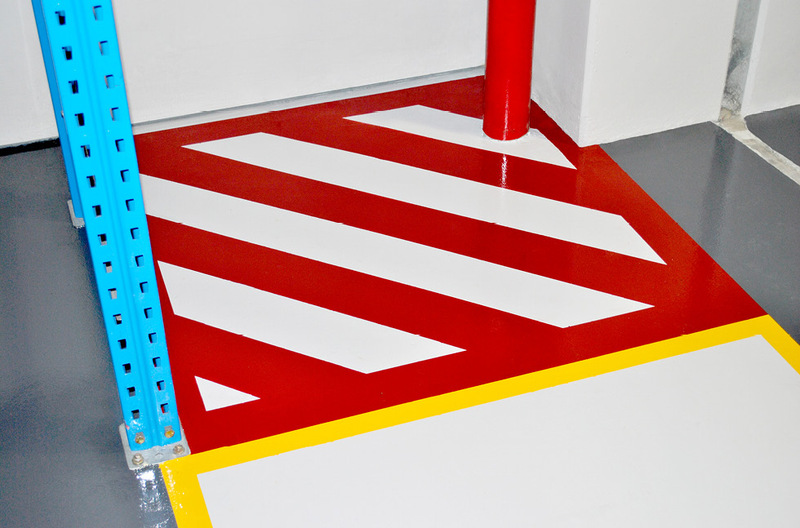 In the example above, red stripes are used to clearly highlight the presence of a fire extinguisher to all who use the space. This draws attention and also plays on the fact that fire alarms, extinguishers and even fire engines are red – so this is likely to be the colour that you are looking for in the event of a fire. 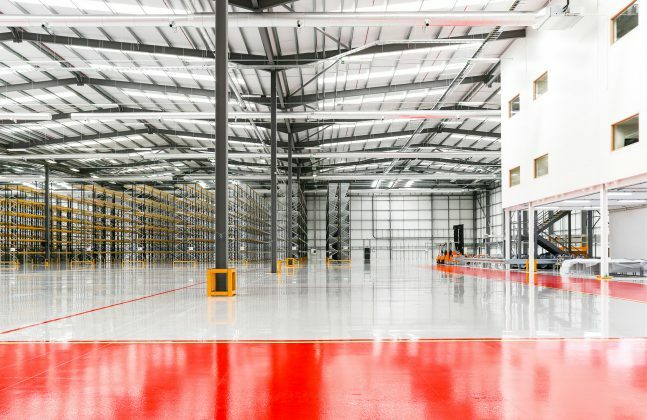 In a similar way, this warehouse has used red epoxy for the walkways. In such a facility, there is likely to be moving machinery, forklifts and other potentially dangerous equipment on site, and so utilising this colour helps to remind staff and visitors to be vigilant, even on designated walkways. Increased vigilance may also be the intended response to this red and white striped zebra crossing. 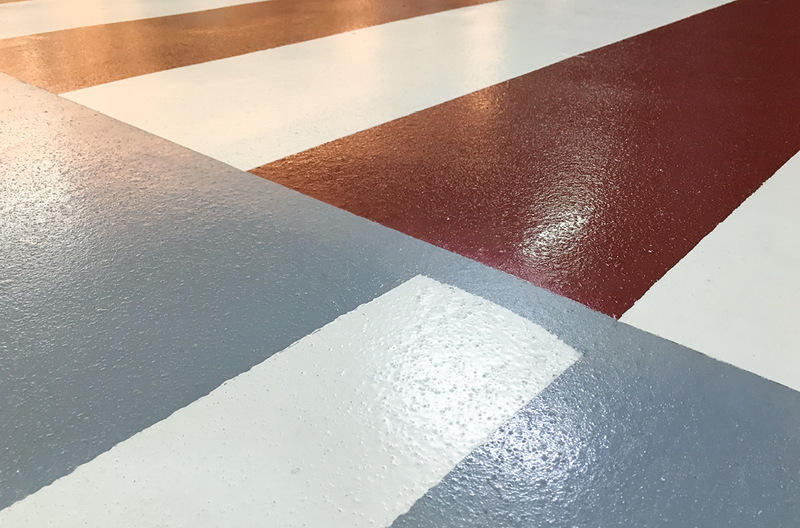 Although cars are likely to stop for pedestrians in this Singapore car park, the burgundy hue reminds pedestrians to remain cautious when crossing. 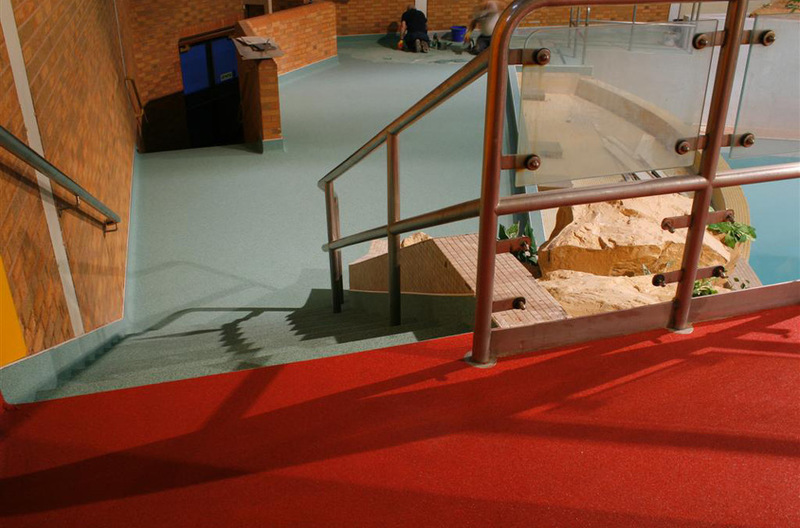 In the same vein as for industrial use, red can be used in commercial environments to draw attention to areas of potential danger, such as at the entrance to these steps at a leisure centre in the UK. Being by a swimming pool, the stairs may be wet and slippery, so highlighting a potential danger could help to reduce the risk of accidents. However, red can also be used to evoke power and passion, and create warmth in an environment. 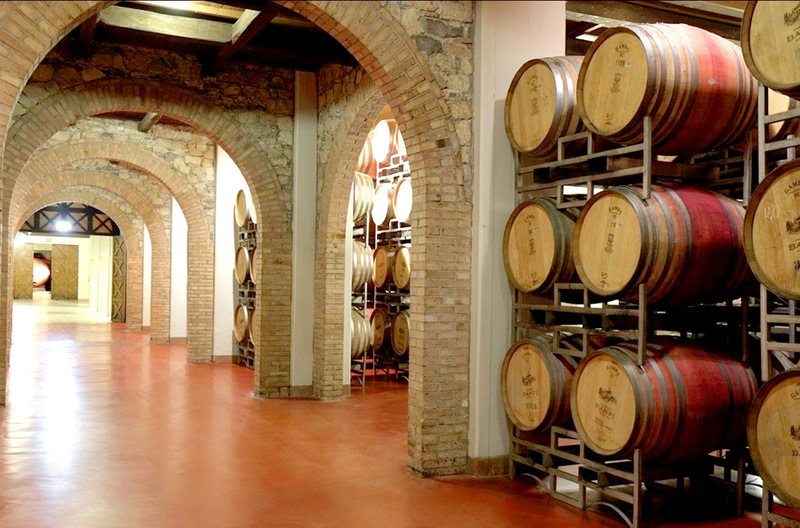 We don’t know about you, but the use of deep red polyurethane flooring in this winery gives us a sense of tradition and heritage, especially when teamed with the soft lighting and surrounding casks. 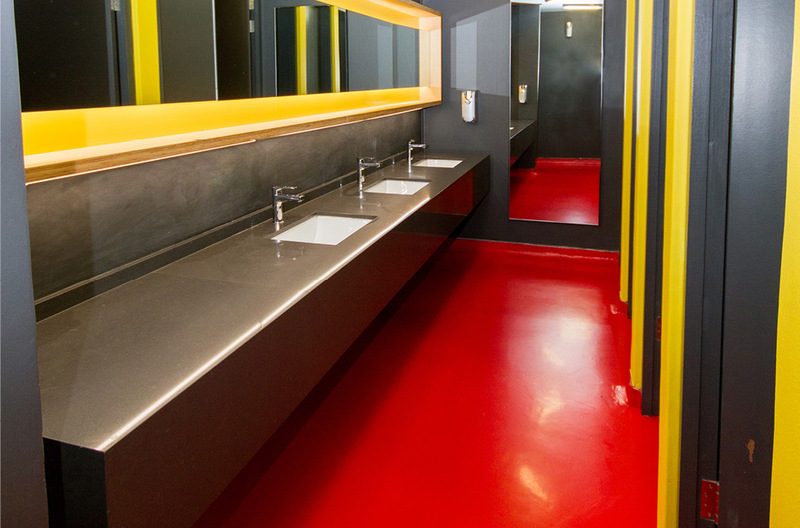 In contrast, the seamless bright red flooring used in these toilets generates a bold and brave statement when teamed with the bright yellow fixtures. Aside from the bold visual, when a single bold colour is used like this it can be much easier to identify dropped items, which makes cleaning such a space easier. Would you choose red? We’d love to hear where you would install it and why! Comment below.